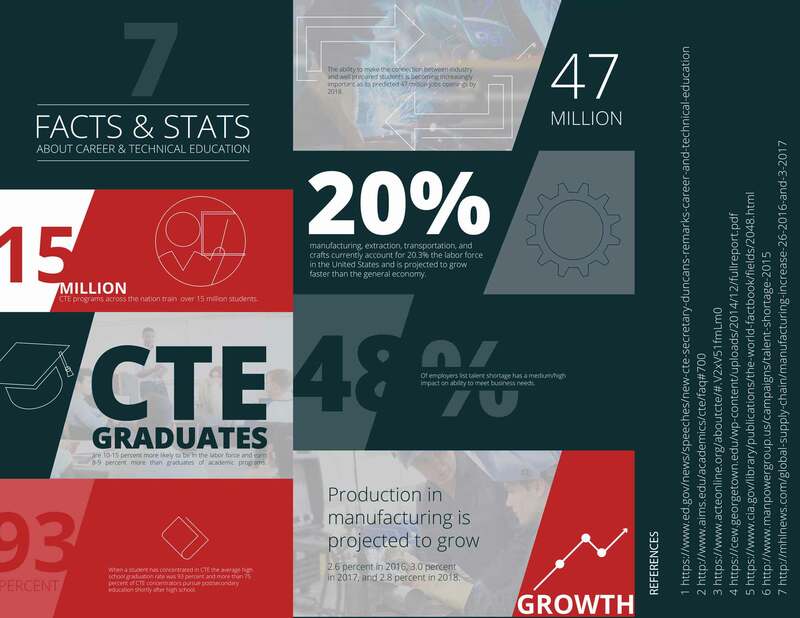 Today, CTE programs across the nation train over 15 million students a year, giving them opportunities to learn and experience a variety of careers. Does this matter? Absolutely! Career and technical education programs link learning to our country’s ever-evolving high-skilled labor markets. This infographic shares 7 surprising facts and statistics about CTE.